I’ve been contemplating what to do with my freebies lately. I’ve been discouraged by the ratio of downloads to comments but that is nothing new and from speaking with some other designers on Twitter it seems that I get many more than most. I thought that 5% of people thanking someone for a freebie was pretty sad until I heard that another designer exceed 1000 downloads and received about a dozen comments. Really? That’s pretty sad. I’ve also been informed by my loyal readers of several TOU violations regarding my CU freebies. All I ever asked for was credit and evidently for some that was even too much to ask. The violation is generally rectified after I email the designer and is an oversight. But it’s still frustrating. In light of all this I thought about what to do. I really enjoy designing freebies and I really appreciate those who thank me every single day. (You know who you are! I love you guys!) I didn’t want to take the blog down and punish those readers who really do appreciate my freebies. I thought about making everything Personal Use only but then what to do about all the previous downloads that I’ve allowed CU for? It would be a mess and too confusing. There really is no perfect solution and I don’t want the stress of selling my things in a store. Hopefully the solution that I came up with will be agreeable to everyone. I totally understand where you are coming from, but.. What does this mean for those of us sing your freebies already? I love youre free items because I can't afford to purchase CU , does this mean i have to delete anything i used your old freebies in? As i can't afford a license! Tyger - If you read the info under the Commercial Use License tab it states I don't expect you to pay for prior downloads but use your conscience for products you design after reading the new terms. I completely understand your reasons for your decision. Thank you for continuing to give us free PU items and I think your prices for the CU licenses are very reasonable - after all the 20 $ option is like a lifetime-buy-my-whole-store offer, LOL! I don't think you are being unreasonable...There isn't much "FREE" out there anymore and if they love your designs sooo much..then why can't they leave a note thanking you. Thank you! I think that is totally fair. I only recently found your site, so I haven't downloaded anything, yet, but thanks for your willingness to create and share! As one of the people who often fails to leave comments, I apologize because I appreciate both your talent and your generosity. I don't think your commercial licensing rule is at all unreasonable....especially if people are using your products commercially to make money for themselves, it makes sense that you should be paid for your efforts. As for the people who say they can't afford it, they can still use the items for personal use for free and that's a very good deal indeed. Take care and thank you. I fully understand your approach, I love your site thank you keep your creations free for personal use. I speak very bad English, I use google translation to write you, sorry for mistakes! Je comprends parfaitement votre démarche, j'adore votre site et merci de garder vos créations pour usage personnel gratuites. Je parles très mal anglais, j'utilise google traduction pour vous écrire, désolée pour les fautes ! I think that is totally fair and I want to tell you that your freebies are awesome. Thanks again! I totally understand your problem. I've often thought how selfish folks are... here you are generous enough to share your considerable talent and hard work with us - and folks can't even so much as thank you. I've always appreciated the fact that you give us things so that we can MAKE items of our own and feel as though our scrap pages are truly exceptional. I'm retired now, so I don't know when I will be able to pay the CU fee - but you can bet as soon as I can - I surely will. A quick question... does commercial use include making a free kit for a color challenge for example? I do make little mini kits (sorta LOL) for color challenges over at DSO...and I always include a credit for your work. Thank you for all the wonderful magic I've received as a result of your generosity.... THANK YOU. This is definitely reasonable. I deeply appreciate all the hard work, effort, time, and attention to detail you put in to your products. You've made my design life a lot easier and also taught me a lot about how to do things (like extractions, using light boxes, etc). Do we purchase the license through your PayPal donation button and leave a note there that it is for a lifetime CU license? I absolutely love your stuff and use it to create free kits, and always give credit in my TOU and thank you when I DL. I can't understand why it is so hard for people to say those two little words. I myself have been upset at times when I have over 500 downloads of a kit and only get a dozen comments. I completely understand and will honour your new TOU. Personally, I've thought for a long time that you're nuts for just giving all this stuff away! $20 for a CU license on all your stuff is VERY reasonable! All anyone has to do is take a look at one of the many digiscrap stores for prices on CU items to see what a deal it is. Like Shel, I'd like to know how to purchase the license. Your CU license is a great idea! I've used a couple of the things I've downloaded from you, with proper credit in my TOU, and honestly, your CU items are better quality than a lot of CU items for sale. You should be getting compensation for your work! They are also wonderful inspiration for other items too. Thanks for letting us continue to use them as freebies for PU layouts too! how sad that people take such advantage of someone. i agree 100% with your policy and i definitely appreciate your downloads! I just read your message and I wanted to tell you that I fully agree with your new way of working. I appreciate and respect your work as a designer. I made a mistake recently with one of your freebies and I'm still very sorry. So, I am pleased to buy your new lisence with is a very affordable price for all that you offer. I think your new arrangement is VERY reasonable. I want to say "thank you" for your generosity, (for those times I prob. didn't say "thanks"). totally understand Hon...a lil sad cause I can't afford the $20 but I do understand...*hugs!! You are totally talented, and if I ever didn't say thank you I am so very sorry!! I do try to make sure I at least leave a specific thank you in 4 shared or in your call box...ao THANK YOU!!!! You are awesome! Guilty as charged. I new at this digi-scrapping business (1 week) and confess that I never paid much attention to any comments posted by a freebie. I truly apologize and realize now what an insult that must me. Your work is tremendous, so thank you for sharing it with us. I totally understand why you are doing it and even if I am also one of those how only recently have been getting better at leaving love, on blogs ...sorry about that, I have always respected others TOU and I don´t get why everyone can´t do that. It´s so simple and easy to do. Thank you for all your hard work! I have left comments periodically as I've downloaded, but not every time either. I think you have a great talent and thanks for sharing! Just wanted to let you know that I appreciate your work and generosity! I'm guilty too....frequent downloader...infrequent commenter. I do love your work and the quality of it. Thanks. I'm not sure when I will be able to pay for the CU license. Should I use your donate button? Just wanted to say thanks again. I also don't say thanks every time but I do appreciate all of your work. I use at least something of yours in almost every kit I design and you are always in my credits on my TOU. Thanks again and I'm off to buy your license because I couldn't do it without you. I've downloaded a few things and never commented. I've also never used any of the things I've downloaded. I'm a hoarder. I think your CU license is reasonable. I agree with you. I am not able to visit as often as I would like, but I don't think it is that hard to say thanks when you DL something. It is sad that so many don't feel a need to say those words. I love your things and hope you know I am great full. Thanks soo much. It would be nice to see those words an all our freebies :) Hugs. It's about time you charged for a CU license Deb! You have many wonderful products & you should be compensated when designers use them to create kits. I will definitely be purchasing your CU license soon! Want to say Thank You for your wonderful work! I try to leave thanks for the items I download, but I'm sure I've missed a few times. I am not a designer (that's why I need folks like you out there!) just use your stuff for my own scrapbooks, but I definitely think $20 is more than reasonable if people are using your work to make money for themselves. They want to get paid, why shouldn't you? Thank you again for being so generous with your time & talents!! Love your stuff!! I just got my license. Thank you Deb for sharing your talents with us who aren't even close to your calliber of creativity. I check in every day and try to leave comments every time I download something. I'll do better. I know I hate it when people forget to say thank you too. Have a great day. You do what you have to do. I have downloaded a couple of your freebies and they are great. I too have been neglectful in saying thanks, I do appoligize for my thougtless actions. Your freebies are awesome. thanks so much for sharing. I couldn't say better than pammyl and ENSQueen. It is so normal and not unreasonable at all that you would be payed for your awesome work especially for those who use it commercially. And it is quite normal either that you wish to be credited. I don't understand designers that don't do it... It doesn't take so much to make credits. Thank you so much for your great talent and generosity. I will be back on the 21st (payday for me) to buy a license. Your new grunge brushes alone are worth that! I don't use your products for commercial use, so hope that it will still be okay to use them for my own personal use and I'll try and remember to comment. I think this is a fabulous deal and will be purchasing very shortly! Hello Deb, Hubby just authorised teh $20 plus currency conversion. off to purchase now. Thanks for your freebies, Deb! I love them, and definitely think your changes are going to be fine. I think you do a fabulous job and definitely use your stuff within the TOU rules. Great job & absolutely wonderful of you to give your time & talents away! My only reason for not commenting after the first couple times is the lack of response to my questions and comments. Though, I never go back to the comment section on any post because it's just too much with my busy photography business so I'm sorry if you did reply in the comments without my knowledge. I understand you well, and personally am very happy if PU stays free, I really love your stuff!!! The price for CU is very reasonable! I always leave a comment when downloading via 4shared, and thank you, but I never remember which one to click and sometimes don't end up to 4shared and it seens to be impossible to comment there. I read you through Google Rader and don't know a way to comment there, so I partly understand that people don't comment... But I guess every one appreciates your work, too bad we are so lazy in thanking. I really hope you keep up with your wonderful work, it's always so nice to see what beauties you've come up with! I think that $20 for a CU license is very reasonable. I really enjoy your freebies. I just use them for my person use. I would pay the price for a CU license. Thank you for all that you have done for us. I love your designs and use them frequently but give you credit for them too. I happily bought the CU license and feel it is one of the best bargains around!!!!!!!!!!! You rock gal but I told you how much I love your designs in person when I met you. I Hope to see you again too! Don't be discouraged by the broken finger brigade, as some designers call it. Keep designing because it is what you love to do! Totally understandable what you mean and the price is fair too!! I want to say thanks for your generosity, I have always credited you in my TOU's. I credit everyone even if they NCR, becos I feel good when I do that. I find it rather rude to say you can't afford to pay $20 for a commercial license good for both past and present releases. If you are using these items commercially, that means you're using them to profit. If you're profiting, then you should be able to afford to pay the VERY REASONABLE amount she's asking. Wow Did you get Peoples Attention!!! I love to mix your Buttons and Run Actions on them LOL. I try to stop by and tell you what I made with you Creations. I Try to Post a Thank You here on Blogger when I download but sometime Blogger is being a Pill or I have a Poor Internet Connection making me short on time. I came by today after a long absence to Grab Some Fall Goodies to finish a mini kit that is due soon. I was Surprised to see your Post but Not Shocked. Stand Up For Your Hard Work!!!! I recently found your site and enjoy it immensely. Please keep up your creative freebies for those of us who enjoy and appreciate them. Thank you so much. Anyone who has ever designed anything knows this is a time-consuming hobby. I fail to understand how someone can just drop in, download, and leave without thanking you for the hours of painstaking work. Yes, of course, your idea is a great one, yet still very generous. Thanks, Deb, for your kindheartedness. As I understand it this is just for those who wanna sell things they make using your freebies, and that's just more than reasonable!! I make freebies for personal use like FTU kits, so hopefully I understand you right, that I don't have to buy a license. Then we have no excuse to not thank you at all time, cos you so deserve it hun!! I've got tons of your freebies, but just not enough hrs in a day to use half of them, lol. But they're safely saved for a rainy day, lol. I can understand why you are making the changes you are, and I just wanted to say thanks, again! For all your wonderfulness. Hi Deb, Sorry to hear you have to go this route. I also find the download to comment rate discouraging. I design too. I don't sell anything. I'm not sure if your new TOU allows me to use your CU items in my kits, with NO profit made. I usually only use one or two CU items per kit, if even that many. I, for one, always comment even if I just type "TY". Unfortunately, I never buy any scrapping stuff on the computer and for that I'm sorry. I kind of figured something was going on when the number of items you were offering has diminished considerably as of late. But you have to do what is best for you. Good luck! I have always thought you were NUTS not to charge ANYTHING EVER for your freebies, but I have totally used them anyway. I'm definitely VERY guilty of not thanking you each time - every once in awhile I'd send you a message. BUT...that is because when I give away freebies I get sick of all the comments. Hadn't occurred to me that perhaps somebody would feel differently than me (ahaha embarrassed chuckle here from someone who adores your work a LOT). SO....when I get the $$ I will buy a all-use license, but I DO credit you on ALL of my work, including a link, and I brag you up around digi-world (not that you need it, but you have taught me a ton, just with what you have offered) and I think you are about to get RICH cuz who's gonna want to stop using your stuff??? I haven't read all these comments, but I hope nobody is complaining...that'd be pretty darn rude to the single most generous digi-scrapper out there! Thanks Deb for all your just incredible generosity, talent, etc. I hope you get to buy some fun thing you have always wanted or something. I'll be contributing to that sometime in the coming month or two...you're awesome!! I have no problem with your decision. I'm just starting out designing and I was planning on donating when I made some sales, I will just have to do it sooner! I love your stuff Deb, thanks so much for all your hard work. Hi. I hope you feel more appreciated when you get some return for your work! You've got a wide variety of very nice designs. I used to always leave comments, but then designers started locking out all anonymous comments. This effectively states: Download, but no comments unless you are logged in to (designer's club of choice). But many designers are frustrated by the lack of comments. Catch-22 anyone? I totally understand your frustration! I am a designer also! I am a bit disappointed. I have used some of your things in my kits! I always leave a thank you and make sure to credit you! In fact one time I forgot and I realized it after I had uploaded the kits to all my stores. I redid it and re-uploaded the kits. It's ashame that more people can't take 30 seconds to say thank you. And I think I read to replies that said they don't leave thank you's because they have to sign in. I lock out all anonymous comments now after being spammed to death. That's why alot of designer's do that! I can't afford to buy a license! I don't make enough sales to buy anything CU. That's why I spend hours scouring the net looking for CU freebies. What I make is suppose to be added income for my family, since dh has been laid off for over a year and cannot find work! But if my sales ever pick up, you can bet I will purchase a CU license! Thank you so much for all your great shares! I think you have to do what you have to do. But I got nervous b/c I just commented last week on CU Coffe Shop Templates with a blog template I posted and then this week your announcement. I don't think I did anything wrong but I re-read the TOU of use and even though I have a credit to your shop in my sidebar, I didn't put one in the actual post. I'll fix that and I'll also buy a license for that product. I am new to the digiscrap community and learning how different designers' licenses can be. 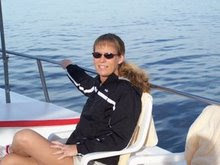 I want to thank you for allowing your products to be used in website/blog designs because many designers don't and I have several CU products that I can't use b/c I didn't know that until after purchase and reading their TOU. I loved your site, and freebies are great! On the other side - I'm designer, and I observed, that almost only persons living comments about freebies are this who are having freebie searching engines. It's not too bad as long they are giving me credit in their creations. You writting about commercial use licence - and is one thing wchich I don't understand - OK, this what i Used in my prior design, with proper credit all the time. Mostly I'm using your styles, and from time to time overlays. Does this Commercial License Thing mean that I cannot using them any longer in my future creations in my kits as long as I will not pay for commercial use license? So - tell me what with things already downloaded but not used yet - do I have pay for them or not for further use? I know I am bad about leaving comments. So I want to thank you for your awesome stuff. I'm not sure that I've even made $20 selling my stuff yet but I just bought your license because I love your stuff and use it regularly in my designs. It's a phenomenal deal as far as CU stuff goes. Lots of love! I use a lot of your things and LOVE them, but on a restricted income I can not afford the $20 all at once. I do TRY to sell my designs, but haven't been very successful. May I pay you as my designs sell until the $20 is paid? I haven't downloaded in a while, but I often look at what ou have and thinks 'oh that's great ... i'll get that when I working on X project' You do amazing work, you are amazingly generous, and I will happily pay the $20 license fee! I am glad you got postive feedback to this, too, because you really deserve all the positive feedback you get. You really are a pillar in this scrapping community - everyone knows you, as designers we talk about you all the time on our design boards, and we all love you. I know the 'thank you' issue is awful (it is the same for me when I do freebies) but I hate to think you are discouraged - you are fantastic! So thank you for all you do! I don't blame you... you go to a lot of work to provide these freebies for the scrapping community and you should be rewarded for it! And it's a reasonable price, too! My question is... if I'm using your stuff but not "selling" it for profit, just using it on freebies, do I need to purchase a CU? Totally understandable to rethink your licensing. I just stumbled upon your blog recently and have downloaded some of your fonts to try and use with my SCAL software. So far, they are awesome! Thanks for the hard work! Deb, I just read your CU License info and purchased it without batting an eyelash. You have provided so much for so long that I feel I owe you!! LOL. Thanks for the opportunity to use all your designs. I give away a few things on my blog once in awhile and always give credit to others when it is due. When I design my own things, I hate feeling 'ripped off' when I see my stuff being used by others claiming it's theirs. SO, thank you again for everything. You deserve to get paid for the use of your great designs!! Carry on, GF! We are purchasing your license right now! You have always been so generous to us and as we have told you in the past we love your work. It is only right that you be compensated, for people to take advantage of your generosity and talent without as much as a thank you is wrong. We also wanted to say thanks for making your TOU easy for those of us who are not lawyers to understand :) We look forward to creating many more wonderful pages with the help of your talent. I do love your stuff and think you do an awesome job. I have used your freebies for cards I sell. I too I'm a designer and get upset when i see something has been downloaded over a hundred time and only four comments. I understand your furstration. I will buy your licence. thank you for you time and talent. I think it is a great idea! I would pay money to use your designs, they are amazing!!! I think it is sad people didn't say Thank You. I hope you still continue to create. I love your work and have downloaded lots of your stuff. $20 for a lifetime of commercial use is a bargain! As soon as I can afford it, I am gonna get it! I will still send designers your way, because you do awesome work! Keep it up! I think it is a wonderful idea, I haven't been around much for the last couple of months and I see you've been REALLY busy so I'm going to be doing some major downloading. Personally I'm thinking of giving up the whole selling thing and just doing this for fun but as I own tons of your stuff that I've downloaded over the past 12 months I think it only fair I cough up for the full license even if I never use anything of yours in the future I have used it in the past. One paypal payment for the full license coming your way!!!!! I have no hesitation in paying 20 bucks for your license. I think you are very clever and love your work. It is ashame that people can be so disrespectful. You do a fantastic job! I'm new at this digiscrapping stuff and admit I never read nor post any comments. Just want to say THANK YOU, THANK YOU for the freebies! I wasn't sure I would like digital scrapbooking but having access to free stuff to try it out has been great and now I am hooked. I only use them for personal use but feel your new policy is very reasonable. Thanks again! Regardless of what others think getting CU License for $20 is a steal! Your Rock regardless for allowing us to download your cool stuff! Thanks again! You have done so much for so many of us..
Deb, your talent is so enormous, as is your generosity. I have learned so much just reading your blog! I look forward to coming here just to see what you're playing with! I've purchased an unlimited CU license, totally the best bargain ever! I have always given credit in TOUs because it's so important in this community. Thank you so much for sharing your talent with us. I just found your site today and WOW! You have some amazing things, I can't believe you offer everything for free! I am d/l'ing several today, thank you sooooo much, you are very generous to share your talent this way :). 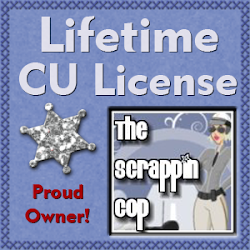 I hope to need to purchase a CU license from you soon, depends on if I get the guts to put my stuff out there! thank you again! Afternoon Deb. I understand your frustration with lack of comments. Last train I did I had well over 1000 downloads and I received 48 thank yous! This is very dis-heartening especially when it is for freebies. I thank you for all the wonderful freebies you have offered and as a designer myself they have come in handy several times! I've not used many because I didn't feel it was fair to you but now that you have your CU license I will be purchasing it very shortly and happily and will feel better about using your freebies! Keep up the awesome work and a grateful THANK YOU!!!! Thanks Deb! I enjoy dropping by and try to leave a comment on every visit. You are very generous and talented. $20 is a very modest amount to pay and I'm signing up just as soon as I finish this posting. I make freebies and I also understand about comments. Last month I gave away a QP with a download count of just under 500 and only 1 comment... I've also noticed that a lot of commercial CU designers are now putting in clauses that make it very difficult to use their products in freebies so I'm probably going to change my methods too and use more items from designers who are more willing to work with freebie designers. With working full time and working on a masters degree I don't have time or desire to sell kits but I do enjoy creating and sharing. Thanks for everything. Deb love, I have really thought it just a matter of time before you asked us for a little something in return for your SO generously and graciously sharing your INCREDIBLE talent with ALL of Scrapland! I am just getting back to Scrapland, let alone attempting to design again so forgive me for just now reading your NEW CU terms after downloading and leaving you a comment on the latest styles which, by the way, TOTALLY rock! I shall DEFINITELY be purchasing an unlimited CU license from you come the first of November so I shall refrain from using any of your CU items until I have done so. I am one that ALWAYS gives credit and even to those that don't require it! It only seems right to do so in my realm of thinking. Thank you, from the depths of my being Deb, for your undying LOVE of the craft AND us to keep on creating and surprising us with whatever you happen to come up with next! MWAH! Wishing your week be ALL that you hope it to be and then some! I don't blame you one bit! Your fee is more than reasonable, and while I can't afford it right now, your name has a permanent place on my tou and I will be happy to purchase a license at a later date! Thank you for your awesome designs and your generosity and I'm glad you'll finally get some payback for all your hard work!! Hello there. I totally appreaciate every one of your free CUs and have to admit that I did not say "thankyou" every time I download stuff (from yours and others) ... and I try to do it better!! At the moment I am "on tour" but as soon as I will be back home I am going to purchase your CU-License because I think it is just fair. CU-items are so expensive when you just want to design for the sake of it ... or are a newbie-designer and do not have any sales yet ... this is where so many of us come from. 20$ for everything you create are fair. Only totally fair. I thank you for every single download you give away! Be blessed in your work and your creative work. It is appreaciated. I think it's a great idea. I love your designs and thought it was crazy that you do so many freebies without being paid!! I've used your stuff recently and just came onto the site and realized you changed your policies so I'm saving up my money so I can buy a commercial use license! I think that is more than fairly and I can understand you! I have sold up to now still no Scrap-Kits, am still ready with pleasure to pay these 20 dollars and has just transferred them therefore! Had to back up to this post to find out when the change was made. Don't blame you a bit! I used to get frustrated by the total lack of TY's for my freebies until I switched to hosting the freebies via direct DL off of magsgraphics.com. Then there was no longer a "tally" - I have no idea how many people DL! I'm just trying to be thankful for the people who do comment (and I'm sure it's 5% or less). Anyway - your terms are fair and reasonable. And since I use PSP, I GREATLY APPRECIATE it when you include the .png files too when you have PSE styles and things. Done a LOT of downloading, as all your items are so wonderful! Thank you so much for all of them! I finally have the money to purchase your license! I am so excited to get started! When this was first posted I took everything that contained your products out of my stores because I just didn't have the money to purchase the license. I guess I missed the part where it said that I could keep those up, but oh well. I lost all of your freebies in a Hard Drive crash last year so I am going to have to go back through and re-download them as I have the time. Do you think you will ever put together a zip file(s) where we could download all previous freebies at once? Thank you, thank you, thank you! $20 is an absolute bargain and I'm more than happy to pay it. Thanks so much for all your hard work and efforts - it's VERY much appreciated!